MOTIVATE and improve mental functioning putting you in the right state of mind being focused, dedicated to ACCOMPLISH whatever your goals are, and improves your chances to RECOVER Omiera Labs are proud to have mastered breakthrough cutting edge 5 star formulas for Beauty and Cosmetic Products – covering a variety of health care areas including anti aging solutions, orthopedics, podiatry and dermatology. These products were developed by a team of some of the best Physicians and Pharmacists in the world and are available to you direct from the Lab . OUR INNER BEAUTY including good mind function, physical strength and overall good health to remain youthful are equally important. 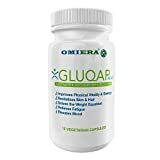 So GLUQAP MAR was born with a very special formula using all natural proprietary ingredients proven effective and safe. Using our line of products together will give you the confidence, happiness and the motivation to accomplish your life goals which is our promise to you. 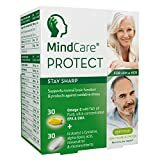 Glutathione, Coenzyme q10, Resveratrol, Vitamin B12, And Hyaluronic Acid deliver a unique mix to help you reach your maximum energy levels with less anxiety, sharpen brain function while decreasing stress levels. Wake up with a brand new energized body and a better mood.